Internet-of-things (IoT) sensors are cheap and easy to be connected to existing communications networks. Big data has also emerged as a key connecting point between things and objects on the internet, where different types of sensors interact together and collect a huge amount of data in real time. The IoT sensors and big data platforms provide numerous opportunities for the application functions of smart buildings and smart grid, such as energy usage monitoring, price-based demand response, coordination of distributed storage resources, and integration of renewable generators. The storage and analysis of large amount of building data allows a huge potential of the knowledge discovery from measured data, enabling real-time monitoring, prediction, management, optimization of energy system operations in residential, commercial, and industrial buildings. This consequently leads to the realization of smart city with the improvement of electric energy efficiency and power network stability. Therefore, there is also a growing interest of utility companies and building operators in an IoT-enabled building or cluster of buildings. This presentation focuses on the application of an energy big data platform to commercial buildings and its further use for the improved resiliency of smart grid. The energy big data platform developed at Pohang University of Science and Technology (POSTECH) will be introduced. Two examples of applications of the big data platform will be presented: 1) optimal operation of multi-zone commercial buildings considering different thermal sensitivities of occupants, 2) self-healing power grid using the emergency energy transactions of back-up energy resources in buildings. The first example is focused on modeling artificial neural networks of occupants’ thermal discomfort levels, and the second example is centered on improving power grid resiliency against power equipment failures caused by extreme weather events. Using the case studies, the possibility of creating new energy services will be discussed with respect to optimal management of building energy generation and consumption in the context of smart cities. 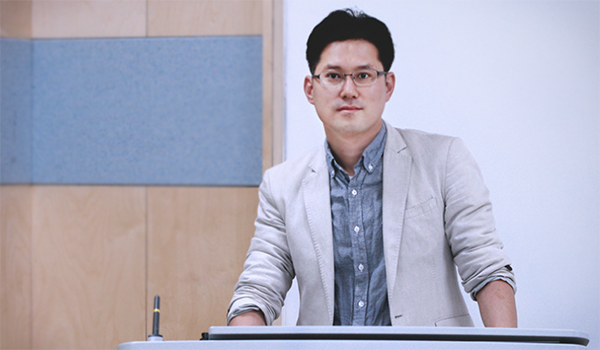 Youngjin Kim (powersys@postech.ac.kr) is currently an assistant professor at Pohang University of Science and Technology in the Department of Electrical Engineering. He also currently serves as an Editor for IEEE Transactions on Smart Grid. His research fields of interest include distributed generators, smart buildings, and renewable energy resources. He was a postdoctoral researcher at the Energy Systems Division at Argonne National Laboratory (ANL), where he worked on the projects of self-healing microgrids with Dr. Jianhui Wang from 2015 to 2016. Prior to coming to ANL, he received his Ph.D. degree in Electrical Engineering from Massachusetts Institute of Technology(MIT), where he worked with Professor James L. Kirtley and Professor Leslie K. Norford as a research assistant in the Research Laboratory of Electronics from 2011 to 2015. His research focused on the modeling and analysis of plug-in electric vehicles and variable speed heat pumps in commercial buildings to provide reliable ancillary services. He also worked as a visiting scholar at the Catalonia Institute for Energy Research (IREC) in 2014 to demonstrate his theoretical analysis and simulation modeling through laboratory-scale microgrid and smart building experiments. During his Ph.D. course, Dr. Kim participated in the U.S. Department of Energy’s Better Buildings Case Competition and won “Most Innovative Proposal” in 2014. Before going to MIT, he was a power transmission and distribution system engineer at Korea Electric Power Corporation (KEPCO) from 2007 to 2011. He received his B.S. and M.S. degree in Electrical Engineering from Seoul National University (SNU), where he conducted several projects of optimal control of distributed generators and renewable energy resources. ECE Colloquium: Yulee Kwon(UNIST ..